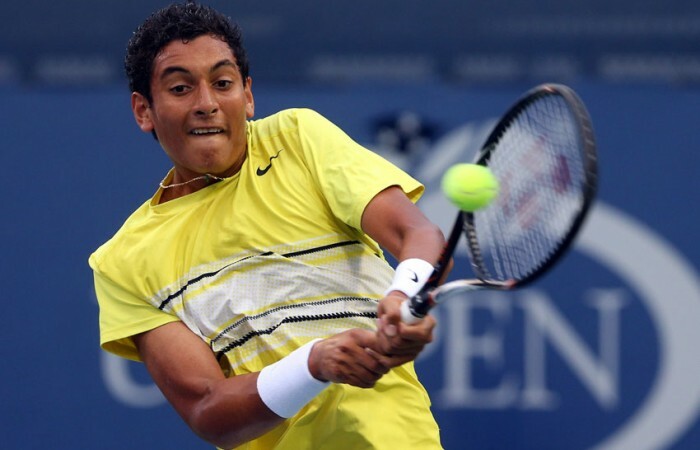 Nick Kyrgios will take on No.2 seed Filip Peliwo in the US Open junior quarterfinals after winning two matches back-to-back on Thursday at Flushing Meadows. Aussie Nick Kyrgios has put in a mammoth effort to reach the quarterfinals of the US Open boys’ singles, winning both his second and third round matches on Day 11 at Flushing Meadows. 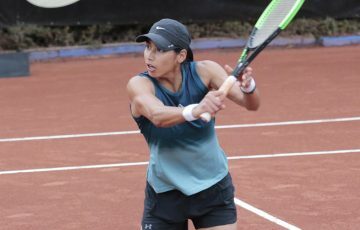 The No.7 seed’s reward is a battle on Day 12 with reigning Wimbledon junior champion and second seed Filip Peliwo, who also reached the Australian and French Open junior finals. You can keep track of Kyrgios’ progress in New York by following the @TennisAustralia Twitter handle. Kyrgios began his day with a straightforward 6-1 6-3 win over American Martin Redlicki, before returning to court roughly 90 minutes later for his third round battle against ninth seed Frederico Ferreira Silva of Portugal. This was a tighter affair, which Kyrgios eventually came out on top of by the scoreline of 6-7(2) 6-1 6-2. “I just got myself thinking positively, not saying ‘oh I’ve got another match’, (instead) just trying to get up for it. You know, it’s the US Open – one of the biggest stages, and I was just pretty excited to play,” Krygios said of his mental approach to the punishing schedule. “I knew it was going to be a tough match (against Silva), he’s a very good player, his forehand is I think world class … Once I lost the first set, I wasn’t really surprised, I thought if I was going to win this I was going to be out here a long time. I knew if I just hung in, he’d played six sets today so he was going to struggle a little bit physically. 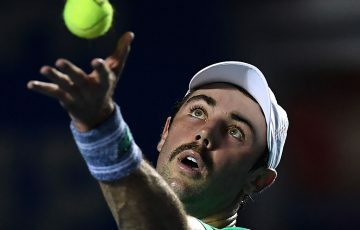 Kyrgios’ compatriot and doubles partner Jordan Thompson was not so fortunate, falling in three sets to American Stefan Kozlov. 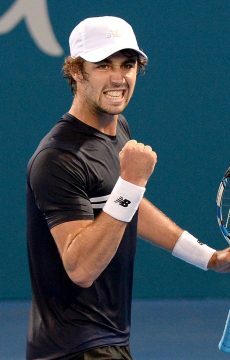 Thompson impressively recovered from 5-2 down in the second set tiebreak and staved off a match point before levelling the match at a set apiece. But he could not continue his momentum in the third. Kozlov’s clever mix of spins, angles and pace proved decisive, helping him run out a 6-3 6-7(6) 6-3 winner. 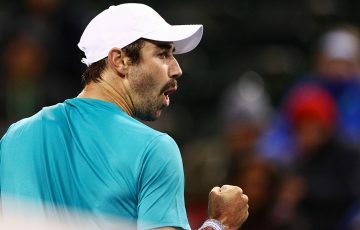 Thompson has some consolation as he remains alive in the boys’ doubles event with Kyrgios – the pair are scheduled to play their semifinal after Kyrgios’ has had time to rest following his quarterfinal against Peliwo. Kyrgios, now at a career best junior ranking of No.5, said his doubles success with Thompson was helping his performance in the singles event. “With Jordan, we keep each other composed and on the pressure points he’s really teaching me to take it point by point, and focus on each one as it comes, and my serve and volleys have improved a lot,” he said. Also taking the stage at Flushing Meadows on Friday will be women’s semifinal action, with a repeat of the Australian Open final between Victoria Azarenka and Maria Sharapova followed by a match-up between Serena Williams and Sara Errani. Tune into Fox Sports 3HD’s live coverage of Day 12 from the US Open beginning at 2am AEST on Saturday. For more information, see our TV Guide.